Dídac Plana is one of the best goalkeepers in the league. Sure-handed between the posts, he stands out for its agility, reflexes and great saves. Dídac Plana comes to Barça Lassa at the age of 28 and at the best time of his professional career after several playing for several teams, like Guadalajara, Sala 10 Zaragoza (now called Ríos Renovables), Marfil Santa Coloma (now called Industries Santa Coloma), and at Jaén Inner Paradise. Over the years has become known as one of the best goalkeepers in the league. In 2017, Plana played another season in Jaén Paraiso Interior before coming to Barça. Previously, he enjoyed a four-year career in the Barça lower categories, with two seasons on the U-16 team and two on the U-19 team, where he also played with Barça Lassa 'B' in his second campaign. 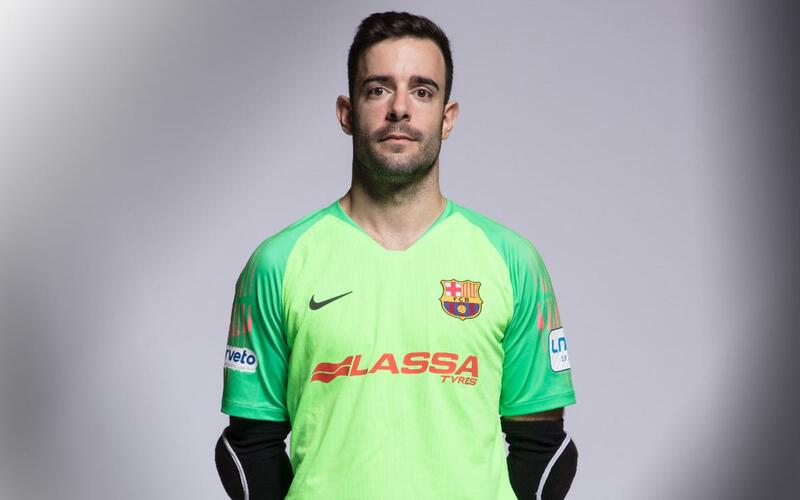 The goalkeeper came to debut with the first team in friendly matches, but did not play in an official competition with Barça. Dídac returned to the Club during the summer of 2018. Dídac is a goalkeeper who stands out for his agility, concentration and reflexes in the net. Very quick and highly skilled, he also has great hands. Known to make incredible saves, he will be a key piece for Barça in goal.